WASHINGTON, D.C., July 12, 2018 – (RealEstateRama) — The U.S. House of Representatives passed H.R. 3281, the Reclamation Title Transfer and Non-Federal Infrastructure Incentivization Act. 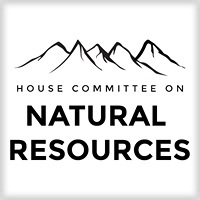 Introduced by Rep. Doug Lamborn (R-Colo.), this bipartisan bill establishes a voluntary, streamlined process for local utilities, states or tribes to pursue title transfers. “Our communities can’t flourish without access to water. That’s why this bill provides needed reforms that give localities more control over their own water resources. We need to bring our nation’s water infrastructure into the 21st century. This bill does that while saving money for taxpayers and providing the flexibility needed for water users in our western states. I’m grateful for Rep. Lamborn’s hard work on this legislation and look forward to working with the Senate to move this bill to the president’s desk,”Chairman Rob Bishop (R-Utah) stated.